A new Vatican magazine will give attention to women’s voices, something that often has been missing in the church despite women’s important role in announcing the Gospel, said Cardinal Pietro Parolin. “If we do not listen attentively to the voice of women in the great decisive moments in the life of the church, we would lose” the crucial contribution of the feminine genius in the church, Cardinal Parolin, Vatican secretary of state, said at an event May 3 launching the magazine format. “Women-Church-World,” which began as a monthly insert in the Vatican newspaper, will now feature two new sections: one “focusing on art with women’s sensitivity and power of expression”, and the other on the Bible, according to L’Osservatore Romano’s website. “The renovation comes in response to many women’s need to share, reflect and make their voices heard,” the newspaper said. 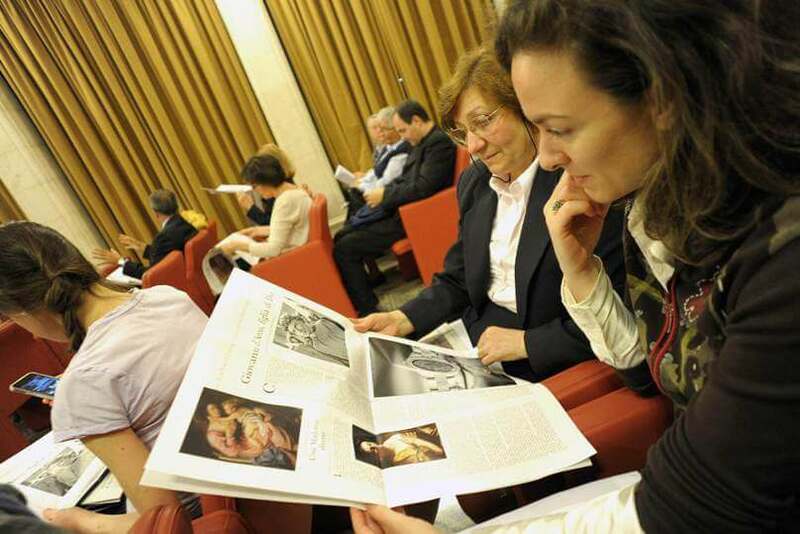 The new format and new sections were introduced to the press by Cardinal Parolin; Lucetta Scaraffia, the magazine’s coordinator; Elisa Zamboni, a columnist from the Italian ecumenical Community of Bose; and Giovanni Maria Vian, editor-in-chief of the Vatican newspaper. Cardinal Parolin said the new magazine serves not only to make the presence of women in the church known, but to “pave the way to a new and positive habit” of listening to women. “Today, therefore, it is necessary to explore together – men and women, lay and consecrated – the interpretation of sacred texts and draw ideas to reshape and expand the role and service – not the servitude – of women in the church,” the cardinal said. The front cover of the magazine’s May issue features an icon of the Visitation, an image that Scaraffia said defines the publication’s mission. Mary’s visit to her cousin Elizabeth, Scaraffia wrote in the magazine’s first editorial, is not just a moment of solidarity between women but a manifestation that both are “able to see the true and profound meaning of the events they are going through, to discern the divine even when it is still hidden”. “The Visitation therefore is the icon of our project: women who bring to light, to the knowledge of the world, what other women have to say or have said and written in the past; what they do or have done,” Scaraffia said.